This featured Sakada Offspring is very vivacious and friendly, a loving wife, a caring mother and a down to earth young woman. She is none other than Maria Domingo Thomas. She was born in Santa Rosa Laoag City, Ilocos Norte, Philippines. Her parents are Mariano and Florentina Domingo, both retired. Mariano retired from HC&S and Florentina retired from the Hyatt Regency Maui Hotel. They are both currently living in Kahului. Maria is married to Jeffrey Thomas, a dentist at Family Dental Center in Kīhei. They have two beautiful daughters, Elizabeth (age 11, 6th grade at Maui Waena) and Faith, (age 7, 1st grade at Pomaikai Elementary School. 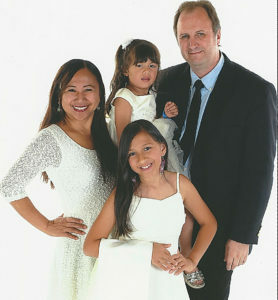 Maria Thomas (left) poses with her family: Jeffrey (right), and daughters Elizabeth (bottom) and the youngest, Faith. Maria lived in Santa Rosa, Laoag City for 12 years. She attended Balacad Elementary School and moved to Maui in 1982. She attended Kahului Elementary School (7th – 8th grade) and Maui High School. At Maui High School, she was a member of the Keywanettes Club, Science, Aquarium/Terrarium Club and Leo Club. 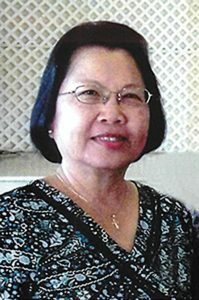 While attending the University of Hawai‘i at Mānoa, she was a member of the Fil-Am Club and Philippine Languages & Cultural Club. She graduated from Argosy University with a Masters Degree in Professional Counseling. Lucy Peros is a retired school teacher, having taught for 32 years, 11 years at St. Anthony Grade School and 21 years at Waihe‘e Elementary School. Both of her parents, Elpidio and Alejandra Cabalo of H&#257;li‘imaile, worked for Maui Land and Pine Company. Her dad was a 1946 Sakada. Lucy is currently a Realtor Associate at Peros Realty, the business her late husband Sylvester Peros, Jr. started 30 years ago, where her daughter Lianne Peros-Busch is now the Broker. Lucy devotes a significant amount of time to activities at Christ The King Catholic Church as well as babysitting her grandchildren. For her community involvement, Maria dances with Dance International under the direction of Madelyne Pascua. She also belongs to Christ The King Church and serves as a Lector. In addition, she also belongs to Alpha Delta Kappa (Professional Growth Development Chairperson). At the first Annual Mrs. Ambassador of Culture Pageant, Maria represented the Filipino Culture as Mrs. Ambassador of Faith. Her favorite quote that she shared at the pageant was, “The best and most beautiful things in the world cannot be seen or even touched, they must be felt with the heart.” It was a quotation by Helen Keller. 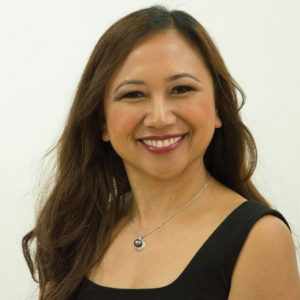 She modeled Filipino outfits during the pageant and other events like the Little Miss Barrio Fiesta Pageant, Maui Mall, and at the Queen Ka‘ahumanu Center for cultural events. In 1998, Maria participated in the Miss Maui Filipina pageant and became the 2nd runner up. In the past, she performed at the Maui Fil-Am Heritage Festival with Dance International Production. Maria truly and beautifully represents the new generation of Filipinas of the Sakada Offsprings.